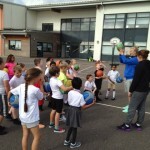 P4/5 have been learning about Dinosaurs! 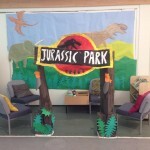 We have created our very own Jurassic Park reading area. How many of the dinosaurs can you recognise? 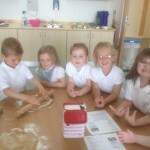 Baking gingerbread men with P2s from P1/2. Yummy! 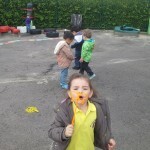 We had lots of fun playing outside with bubbles this week!